Besides the arrival of the spring season, March is frozen food month. Hurray!! For us frugal mamacitas, March is one of the best times to buy frozen food in our households. 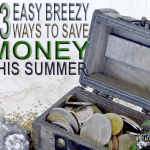 To save money, and making sure you stock up on frozen food this month, I have the best tips for buying frozen food. Like many families, I enjoy having frozen food in my home. They are a convenience when I don’t have time to cook. They are always in season and are affordable. Frozen food always last a pretty long time, about 2 months after opening and sealing them properly. This reduces food waste, which is something we are trying to avoid in our home. Since retailers know that March is Frozen Food Month, you can guarantee that there will be deals on frozen foods; lots of deals. 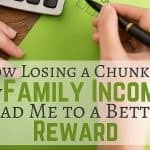 For this reason, to maximize your savings, see if you can find coupons and discounts for your favorite frozen foods. Before you say, or think, that frozen foods are not good for you, let me just say that depending on that you are looking for, frozen foods can be good for you. Ares frozen foods more nutritious than fresh? Well, it can be; again, depending on what you are getting. An example will be when you buy frozen produce from your grocery stores, the majority of products are frozen right after picking. 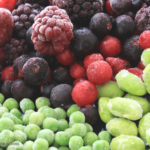 According to The Frozen Food Foundation, results from studies suggest that frozen fruits and vegetables are generally equal, or better, than fresh fruits and vegetables. This means that by freezing them right away, they lock the flavor and nutrients in, compared to fresh fruits and vegetables. You can create quick and delicious frozen food recipes as well. From blending frozen fruits into delicious smoothies, to using them to top your favorite oatmeal or pancakes. You can also create delicious soups using frozen mixed vegetables. Delicious quick recipes, with less work and less mess. 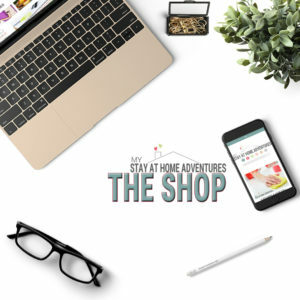 There are many reasons why I enjoy having frozen foods in my home; but if you are having a hard time shopping for frozen foods, the tips below will help you on your next shopping trip. 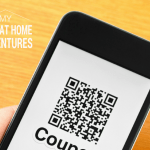 Before purchasing, always inspect your frozen item for signs that it may have been refrozen. To find out if your frozen merchandise has been refrozen, look for lumps. 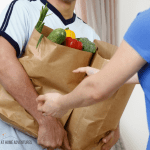 Make sure your frozen food bag doesn’t have any lumps to your touch. This indicates that this item was thawed and refrozen, which may affect the flavor and the nutrients in it. There is no indication that name brand taste better than generic brand. Generic frozen food is just as good as name brand. The only difference is the price you are paying. It is important to shop for frozen foods last. The reason why is because you want to avoid those nasty ice crystals from forming inside the package. Frozen foods must keep them as cold as possible to avoid ice crystals. You want to be careful what you are buying when it comes to frozen foods. If you are looking for the best, then you want to look at the ingredients first. Look for 100% pure, or the word healthy, on the merchandise. If you want to buy broccoli, then make sure you are buying just that. Read the ingredients and make sure it contains just that, broccoli, and nothing else. Again, if you are looking for a healthy alternative of frozen foods, buying real food is the best way to go. As I mentioned above, the nutritious value of frozen vegetables and fruit are amazing. For a healthy alternative, avoid sugars, cheese, and other sauces as they will increase the amount calories, sodium, etc. 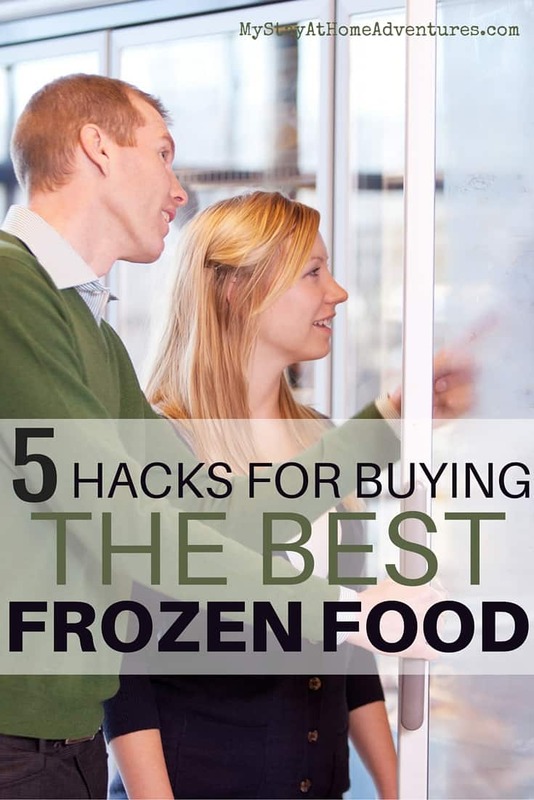 There you have the best tips for buying the best frozen food. I want to add that buying frozen food is healthy and good for you. When you buy vegetables and fruits that are frozen, you get better nutrients and taste, but also remember that you can also have multiple uses for one item. If you buy frozen strawberries with sugar or other flavors, you might not be able to add it to other recipes; where if you have carrots, you might be able to add it to your soups, stir fry, etc. You see what I am saying? More bang for your money. So make sure you take the time this month and stock up on frozen foods. They are affordable, always in season, less food waste, and good for you! Your turn: When it comes to buying the best frozen food what are your tips and tricks?